When two small children wake up in the morning and ask for a tea party for breakfast, sometimes their mama just has to say yes. 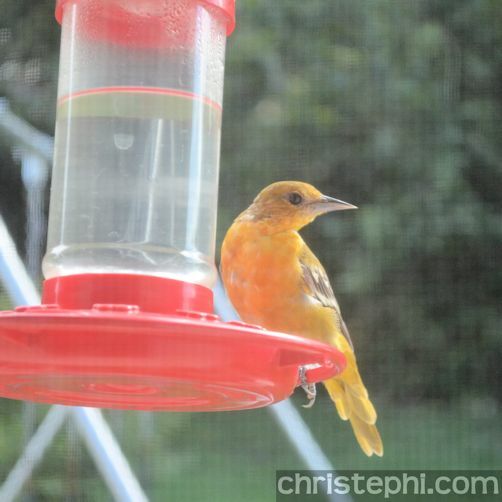 Our Monday morning lessons were attended by a feathery visitor, this beautiful young oriole. 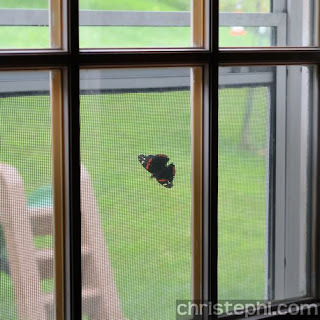 It was content to stay there for 15 minutes or more! Last week at the museum we got to see a telegraph machine and this week in history we learned all about Samuel Morse! We also learned about Florida and Texas. Miss M got a new Bible verse this week and learned that Jesus is the Lord of lords and the King of kings. To honor His position as the authority over all authorities, she made a royal crown. 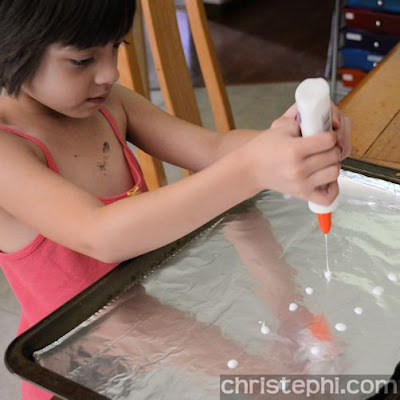 To prepare for this craft, she made a whole bunch of glue dots with Elmer's school glue on an aluminum foil covered cookie sheet. We let the glue sit until it was completely dry, about 24 hours. Then Miss M colored each dot with Crayola markers. I wasn't at all sure this process would work, but it came off without a hitch! I cut a crown shape from yellow construction paper and wrote the memory verse on it. Miss M decorated it with the glue dot jewels she had made! 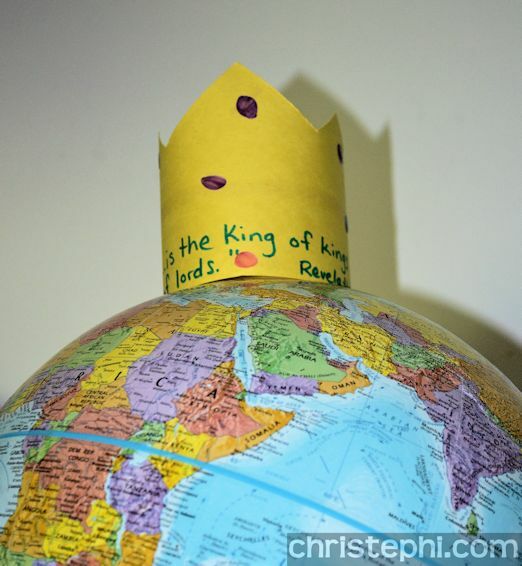 We perched the crown atop our globe to signify Christ's authority over all creation. 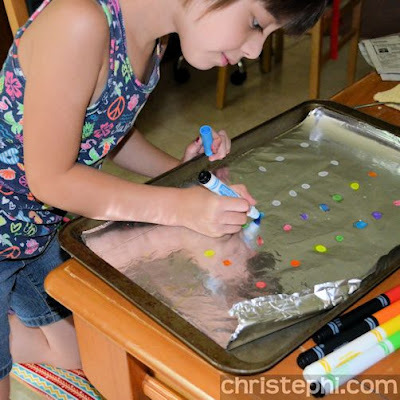 Miss M loved this activity! This week we learned the words to You're a Grand Old Flag. I remember learning it in 5th grade! We also had an impromptu marching parade around the kitchen and through the house when we put on Stars and Stripes Forever. 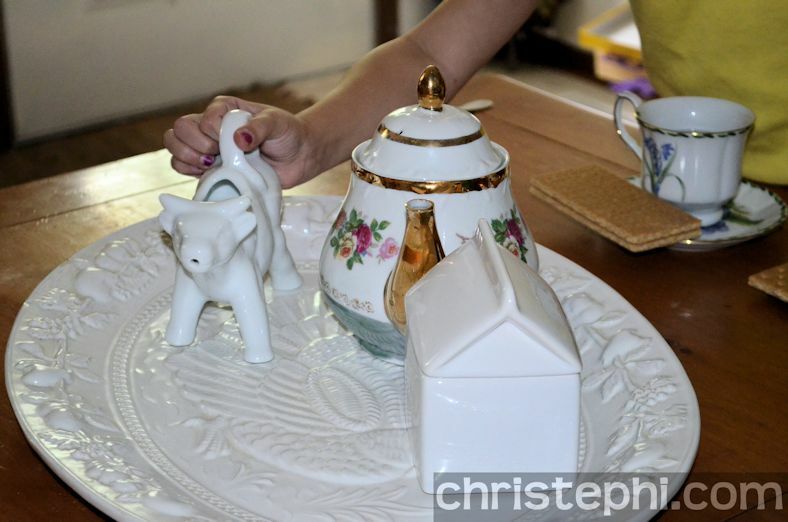 Making memories like these is one of the reasons we homeschool! We haven't been making it out for our nature walks every Friday. Some days it's just too hot and humid! But nature has a way of finding us even when we don't go out looking for it. This beautiful butterfly enchanted the kids before it flew off to get a drink from our hummingbird feeder.